The wait is over! 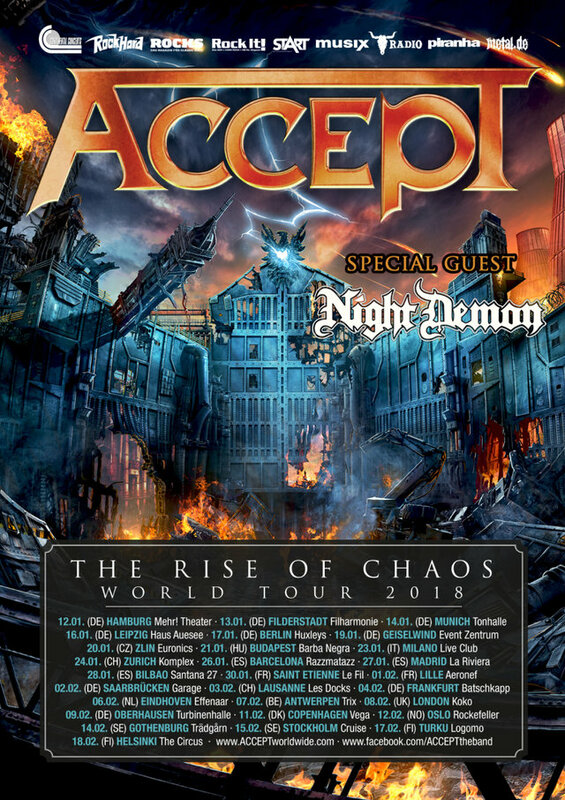 Heavy metal pioneers ACCEPT kick off their extensive European tour today – 28 shows in 14 countries – in support of their highly-acclaimed album »The Rise Of Chaos«, at the Mehr! Theater, Hamburg, Germany. US metallers NIGHT DEMON will be supporting them on this run. This tour is not to be missed – check the dates below and don’t forget to secure your tickets now!